Born in Australia before moving to the UK at 12, it was while studying philosophy in Bristol that Jamie began performing as The Magic Lantern alongside friends and long-term collaborators in the DIY Bristol music scene including This Is The Kit, Rozi Plain and Rachael Dadd. 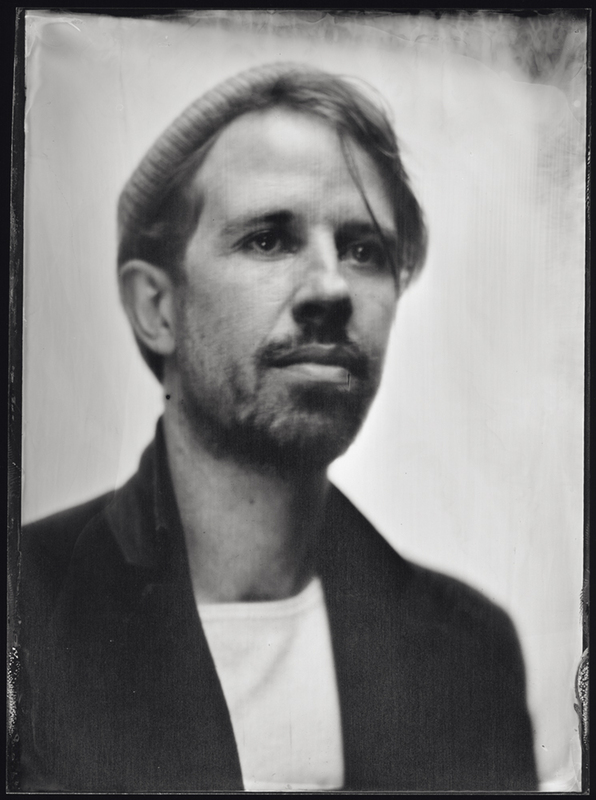 Moving to London in 2007, Jamie expanded The Magic Lantern into a quintet of friends and together they evolved a transporting sound inspired by the immediacy of Jamie’s lyrics and lilting melodies and a shared love of improvised music. The Magic Lantern’s debut album ‘A World In A Grain Of Sand’ was mixed by Leo Abrahams (Brian Eno, Paul Simon) and released in June 2011 and was vocally supported by Late Junction’s Verity Sharp, Bob Harris and Tom Robinson (BBC Radio 3, 2 and 6 respectively) among others. Keen to focus on the intensity that comes with stripping everything away, Jamie dissolved the quintet line up in 2012 to return to playing and writing on his own. His intimate second album ‘Love of Too Much Living’ was the product of two years spent crafting this new musical approach, playing hundreds of gigs around the UK and beyond. Following its release in October 2014, Jamie toured across the UK and Europe and compiled an album of other musicians versions of his songs, ‘Love of Too Much Living – Remakes’ featuring This Is The Kit, Sam Brookes, Emilia Martensson, Wallis Bird, Rozi Plain and Low Chimes among others. It was released in December 2015 with all proceeds going to the male suicide prevention charity the ‘Campaign Against Living Miserably (CALM)’, an organisation very close to Jamie’s heart. A rising star of London’s diverse music scene, 2016 saw The Magic Lantern as at home touring alongside Mancunian poet and saxophonist Alabaster Deplume, as performing with Jamie Cullum at the BBC Proms and singing on Sam Lee’s ‘Lovely Molly’ winning ‘Best Traditional Track’ at the BBC Radio 2 Folk Awards. His third album ‘To The Islands’ was written and recorded in 2017 following this tumultuous journey to Australia after nearly 10 years away and explores memory and hope in a world of near constant uncertainty. Musically ‘To The Islands’ mirrors this exploration, working with a new band of old and new friends from London’s thriving jazz scene, it draws on a wide range of sounds and textures, from afro-beat grooves, to solo piano, string quintet lyricism to narcotic late night saxophone jams, all united by Jamie’s instantly recognisable voice and inimitable song-writing style. ‘To This Islands’ is his most ambitious musical statement to date and was released on 2 November 2018.